Price:$50 per hr, $30 per 1/2 hr. Sam teaches throughout the inner west of Sydney and from his home studio in Leichhardt. 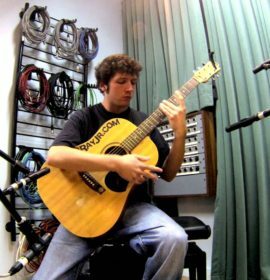 Sam’s unique take on the percussive acoustic guitar style has received worldwide recognition. 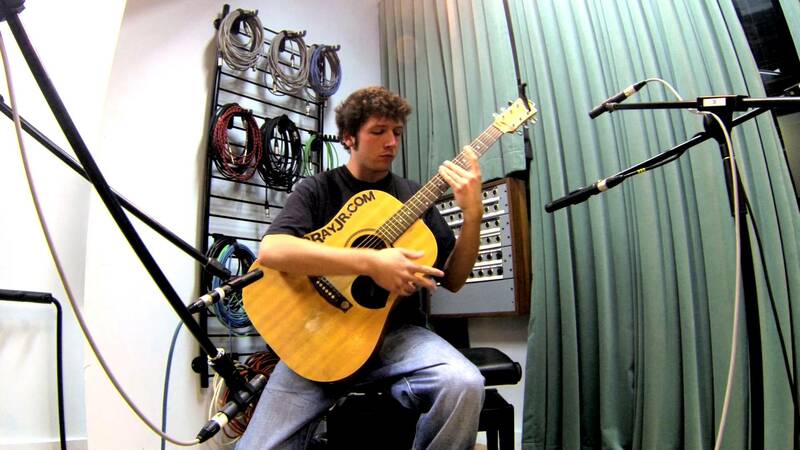 His YouTube videos of pop covers, metal covers, jazz compositions, and comedy songs have gathered over 7 million views and have been hailed and promoted by artists such as Pantera, Megadeth, MC hammer, Andy McKee, John Petrucci of Dream Theater, and the members of Journey, who stumbled across Sam while he was busking on the streets of Sydney. Sam has played as a solo artist at some of Australia’s leading festivals, including Peat’s Ridge Festival and Splendour In The Grass. Known in China as “Super Lightning Guitar Slappy Man”, he has completed three tours of China representing Maton guitars, playing shows, clinics and masterclasses in over 30 cities. Sam has been studying music since the age of ten, developing an extensive knowledge of music theory and composition through schooling, private lessons and self-education. He received his Bachelor Of Music from AIM in 2012. Every student is different, and lessons would be structured around the students own style, taste, and musical goals with an emphasis on developing technique, ear training and a practical application of theory. He now focuses his lesson from his home studio in Leichhardt.